The quality of medical training is the acquisition of the ethics and ethos of the medical profession. These values are defined by the acquisition of well-defined set of competences. The breadth and depth of these competences define the educational training institution and its uniqueness. 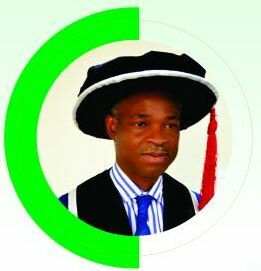 To achieve the knowledge and skills that ensure quality medical education, institutions have based their quality of graduates on a tripod of infrastructure, quality of teachers and uniqueness of the training curriculum which have varied from the traditional knowledge driven to the contemporary global trend of competency based learning with simulation. 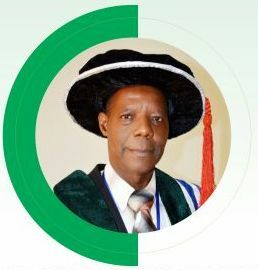 Edo University, Iyamho (EUI) College of Medical Sciences understands that in order to impact optimally on the national health system and health outcomes of patients and populations, its medical education can only be achieved in a curriculum design and instructional process involving competences, systems of instruction of studies as well as teaching technologies. The competency-based curriculum adopted by EUI is a disciplined approach which specifies health problems to be addressed, identifies the requisite competences required to achieve these competences and assess achievements and shortfalls. This curriculum is a blend of materials from more than six existing programmes, global best practices and experiences of the team members who are drawn from a wide range of disciplines and some of whom have participated in curriculum development and implementation. 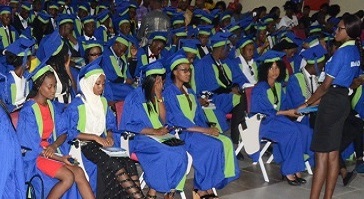 In line with BMAS of the NUC, EUI has adopted the system-based, integrated student centred, tutor-facilitated, competency driven and community oriented curriculum with the expectation of skills laboratories and the community orientation of training. The end product is a curriculum that is competency and outcome based. It is the hope that the curriculum will serve the immediate needs and future expectations of the stakeholders. Medical and Dental Council of Nigeria (MDCN).Guideline on Minimum Standards of Medical and Dental Education in Nigeria.The Red Book. Medical and Dental Council of Nigeria Guidelines on Minimum standards of Medical and Dental Education In Nigeria. Revised Edition June, 2006.Published by: Medical & Dental Council of Nigeria. Nigeria Undergraduate Medical and Dental Curriculum Template, 2012.Federal Ministry of Health, Abuja, Nigeria. The 2010 M.B., B.S. Curriculum of the College of Medicine, University of Ibadan. 2010. Tuning Africa. Tuning and Harmonisation of Higher Education: The African Experience, Chapter 7, pages 265-314. 2014. General Medical Council (UK). Tomorrow’s Doctors Outcomes and standards for undergraduate medical education.Published September, 2009. 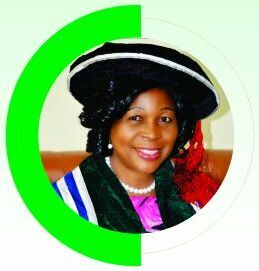 The Edo University, Iyamho was established by Edo University Uzairue law (2014) and subsequently amended to Edo University, Iyamho, Uzairue, (Amendment Law) 2015 and further amended as Edo University Iyamho (Amendment Law) 2016. The amendment to the law 2015 enables the university to be located at Iyamho, Uzairue, Etsako –West Local Government area of Edo State. The Edo University Iyamho was accorded recognition and issued license by the National Universities Commission (NUC) on 23rd March, 2016, as the 41st state owned University and 142nd University in Nigeria. mho is expected to propel social, economic, political, cultural, scientific and industrial growth of the Edo State and Nigeria. 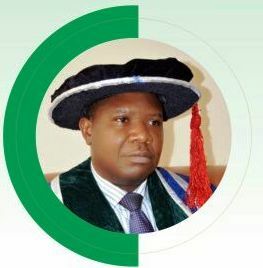 In 2014, the state government, in pursuit of its goals of providing and ensuring health care delivery to all, established the College of Medical Sciences as a unit of the Edo University, Iyamho. To become a centre of excellence for quality teaching, research, innovations and community development for the enhancement of human resources for health. Demonstration of competences in the appropriate care of patients through multidisciplinary training. Reforms in medical education are informed by emerging challenges in healthcare delivery and administration. The curriculum of EUI College of Medical Sciences would be competency-based with significant students-directed learning and integration between pre-clinical and clinical training. New technologies for health and pedagogy would be deployed for improvement of learning. The EUI Bachelor of Medicine, Bachelor of Surgery (MBBS) degree is a six-year full-time programme with the possibility of a five year programme with direct entry qualifications. A possibility of a Bachelor’s degree in basic sciences shall be awarded with an additional one year in basic sciences. Students who are unable to proceed further in the MBBS programme shall be advised to continue with a Bachelor’s degree programme in the basic medical sciences amongst other options. 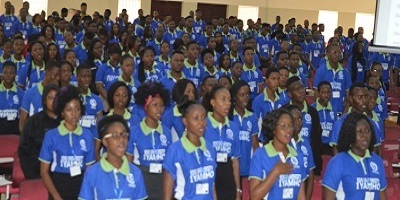 Candidates to be admitted into the degree programmes must possess a good score at the Unified Tertiary Matriculation Examination (UTME). In addition candidates must possess credit passes in Physics, Chemistry, Biology, Mathematics and English language at the SSCE, WASC, GCE ‘O’ level, NECO or its equivalent as determined from time to time by the senate of the university. The degree shall be unclassified. Excellence shall be recognised through the awards of distinction and prizes. Diagnose and negotiate management plans. Demonstrate management and leadership skills. Learning instructions in the College and Teaching Hospital will be mainly student-centred with lecturers as facilitators. In addition, sessions with experts from government and non-governmental agencies will complement these. An objective of this curriculum is to ensure that medical students in each class have equivalent teaching and clinical exposures at the end of each session. These will be achieved by rotating the students through similar postings and lectures in any academic session with continuous assessment /examinationsat the end. The following instruction and assessment methods will be used. Prioritisation of desired competences into “must know”, “should know” and “may know”. Assessment focused at testing the acquisition of the “expected competences,” would be based on “knows”, “knows how”, “shows how” and “does” in relevant skills. Assessment of students by teachers will be based on Novice, Fair, Competent, proficient and being an expert. Allocating 60 percent of the teacher-student contact time for practical/clinical teaching sessions, with the remaining 40 percent on didactic teaching sessions/small-group teachings/ tutorials (). Increased emphasis on problem-based approach with a concomitant reduction of large-group teaching sessions. Self-directed learning through tutorials, e-learning and term papers, would be utilised to encourage students seek information independently and think in a critical and analytical manner. Integration of teaching and assessment would be “horizontal” if it is “concurrent,” in the preclinical or clinical disciplines, and “vertical” if it involves both disciplines “sequentially”. The integration ensures early exposure of the students to clinical aspects of medicine, better understanding and application of basic sciences to clinical medicine. Infectious Diseases Posting – 400L (horizontal and vertical integration). This ensures repeated contacts with the community by students of EUI which will encourage acquisition of appropriate competences in community orientation and care. Community orientation would ensure understanding of cultural diversity and sensitivity, dispute resolution mechanisms, assessment of specific community needs and mobilisation of community resources. The EUI curriculum will adopt a two-way feedback mechanism between the students and the teachers to ensure continuous evaluation of both which include methods for identifying students who fail to meet the expected objectives. There will be opportunities for correcting deficiencies in both students and teachers. Curriculum would ensure increased contact time between teachers and students through small-group teachings and practical/clinical sessions thus promoting mentoring. Curriculum is designed to be multidisciplinary to ensure that students demonstrate the Multi-Disciplinary Team approach (MDT) to patient care through fostering understanding and mutual respect among members of the team. The team-care approach optimises patient care by involving physicians, nurses, pharmacists, administrators, dieticians, health educators and social scientists/workers, among others. The NUC benchmark minimum academic standards (BMAS) allot credits to courses and all courses in the MBBS programme are compulsory. Credits acquired may be available for transfer at exit points. 8.2.1.1. Formative assessment: This would be carried out regularly (e.g., at least once every posting), prior to the summative assessment, to give students feedback on their performance and to improve learning. 8.2.1.2 Summative assessment: This is an examination that will determine the students’ progress during the course and will include continuous assessments, end-of-posting and all professional level examinations. 8.2.1.3Term papers – Students would be required to submit at least one term paper per course as part of the continuous assessment. 8.2.2.1.1. Objective Questions: These may consist of true/false, Multiple-Choice Questions (MCQs), the Single-Best Answer (SBA) and Extended Matching Questions (EMQs). 8.2.2.1.2. Short Answer Questions (SAQs): These ensure wider content coverage within a shorter space of time compared with long essays. There would, however, be a marking scheme for each question to achieve a more-objective scoring and narrower variability between markers. 8.2.2.1.3. Long Essays: These questions test in-depth knowledge of specific topics and are essential to ensure a balanced assessment. Similar to SAQs, there would, however, be a marking scheme for each question. 8.2.2.2.1. Objective Structured Examinations: These may either be “clinical” (OSCE) or “practical” (OSPE) since they are best in ensuring equivalent testing of a group of students. The viva-voce will be incorporated into the OSCE and OSPE. 8.2.2.2.2. Picture tests– These are pictures of clinical entities/scenarios, results of investigations/tests, equipment etc. A marking scheme would be provided. 8.2.2.2.3. Long case/short case: These would be used for in-course assessment of competences in addition to the OSCE. The EUI curriculum will provide a platform for suitable students to undertake a combined B.Sc./MBBS (Intercalated) degree. This can be a BSc in one of the basic medical sciences. Students may commence the combined degree programmes at the end of the 300 level. 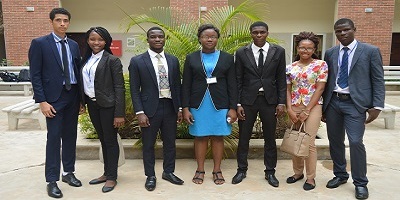 At the completion of the intercalated degree, these students shall return to the MBBS programme at the 400 level. Examinations in EUI will consist of four professional examinations at varying times over the course of the programme. A candidate shall be qualified for these examinations after having satisfied the minimum requirements for each level as prescribed from time to time by the Senate of the University. This consists of Anatomy, Biochemistry and Physiology. A candidate shall be qualified for this examination after 18 months of instructions and satisfying the minimum requirements as prescribed by Senate. A candidate attempting the Part I Examination for the first time shall present himself/herself for examination in all the subjects upon satisfactory completion of the requisite postings. To pass the examination, a candidate must score a minimum of 50 percent in anatomy, 50 percent in biochemistry, and 50 percent in physiology. A candidate who fails in one subject only may be permitted by Senate, on the recommendation of the Academic Board, to proceed to the introductory clinical courses and to be re- examined (after a minimum remediation period of eight weeks) in the subject in which he/she was referred. Such a candidate shall be required to attend a revision course in the subject in which he/she was referred. A candidatewho fails in two or three subjects of the Examination will be required to repeat the year. A candidate who is unsuccessful in the resit examination shall be required to repeat the year. A candidate who is repeating the year and failsin one subject shall be allowed to attempt the subject attheresit examination. A candidate who is repeating the year and fails in two or three subjects shall withdraw from the programme. Subject to powers conferred on the Senate to extend the period of study as specified above, candidates who fail to complete the Part I Final Examination within 33 months after admission to the course shall be required to withdraw from the course. The Part II Examination shall consist of Pathology (including Medical Microbiology, Chemical Pathology, Haematology and Anatomic Pathology) and Pharmacology. A candidate shall be qualified for this examination having passed the Part I, completed 12 months of instructions in Pathology and Pharmacology and satisfied other minimum requirements. A candidate attempting the Part II Examination for the first time shall present himself/herself for examination in both subjects upon satisfactory completion of the requisite postings. To pass the Part II Examination, a candidate must score a minimum of 50 percent in pathology and 50 percent in pharmacology. A candidate who fails in one or both subjects of the examination may proceed with the clinical postings but must submit himself/herself for re-examination in the subject(s) in which he/she failed after a minimum of eight weeks of remediation. A candidate who fails in any subject in the resist examination shall be deemed to have failed the entire examination and shall be required to repeat the clinical postings and sit the Part II examination the following year. A candidate, who after repeating the year, fails in one or both subjects at the resit examination, shall be asked to withdraw from the programme. No candidate may proceed to the Part III Examination unless he/she has passed both subjects in the Part II Examination. The Part III Examination shall consist of Paediatrics, Obstetrics and Gynaecology. A candidate attempting the Part III Examination for the first time shall present himself/herself for examination in both subjects upon satisfactory completion of the requisite postings. No candidate shall be admitted to the Part III Examination unless he/she has completed the required postings of study after the Part II Examination. A candidate must have at least 75% attendance at each of the postings. To pass the Part III Examination, a candidate must score a minimum of 50 percent in Paediatrics and 50 percent in Obstetrics and Gynaecology. A pass in the clinical components is compulsory. A candidate who fails in one or both subjects of the examination may proceed with the clinical postings but must submit himself/herself for re-examination in the subject(s) in which he/she failed after a minimum of twelve weeks of remediation. A candidate who fails in any subject in the resit examination shall be deemed to have failed the entire examination and shall be required to repeat the clinical postings and sit the Part III examination at the next attempt. No candidate may proceed to the Part IV Examination unless he/she has passed both subjects in the Part III Examination. The Part IV Final Examination consists of Medicine, Surgery and Community Medicine. The examination in Medicine will include Psychiatry and Forensic Pathology. The examination in Surgery will include Oto-Rhino-Laryngology, Ophthalmology and Anaesthesia. A candidate attempting the Part IV Final Examination for the first time shall present himself/herself for examination in all the subjects upon satisfactory completion of the requisite postings. No candidate shall be admitted to the Part IV Final Examination unless he/she has completed the required postings of study after the Part III Examination. To pass the Part IV Examination, a candidate must score a minimum of 50 percent in Medicine, 50 percent in Surgery and 50 percent in Community Medicine. A candidate who fails in one or more subjects of the examination must submit himself/herself for re-examination in the subject(s) in which he/she failed after a minimum of twelve weeks of remediation. A candidate who fails in any subject in the resit examination shall be deemed to have failed the entire examination and shall be required to repeat the year. A candidate, who after repeating the year, fails in one or more subjects at the repeat examination the following year shall resitthe examination after 12 weeks remediation. A candidate who fails in one or more subjects at the resit examination, after repeating the year, shall be asked to withdraw from the programme. Students who wish to transfer to other undergraduate courses maybe permitted to do so using the aggregate credit units they would have acquired. This includes students who fail to pass the examinations after the maximum number of attempts and those wishing to withdraw from the MBBS programme for other reasons. The BSc Medical Sciences programme is one of the programmes to which students who have to withdraw from the MBBS may transfer to. This degree is usually aimed at students planning careers in health care and health-care-related professions other than medicine. Any academically exceptional student at the Part I Examination, who wishes to acquire a Bachelors degree in any of the three subjects, will be encouraged to spend an additional year to carry out further studies and research. At the completion of the Bachelors degree, such a student can resume clinical studies at 400 Level. A candidate shall be awarded the EUI MBBS degree after satisfying the Board of Examiners with the approval of Senate. No candidate will graduate unless he/she has passed the General Studies (GES) examinations as applicable.